An old Abbott Kinney deed, buried in the Los Angeles City Archives, has surfaced recently, thanks to the work of two Venice activists (who prefer to remain anonymous). 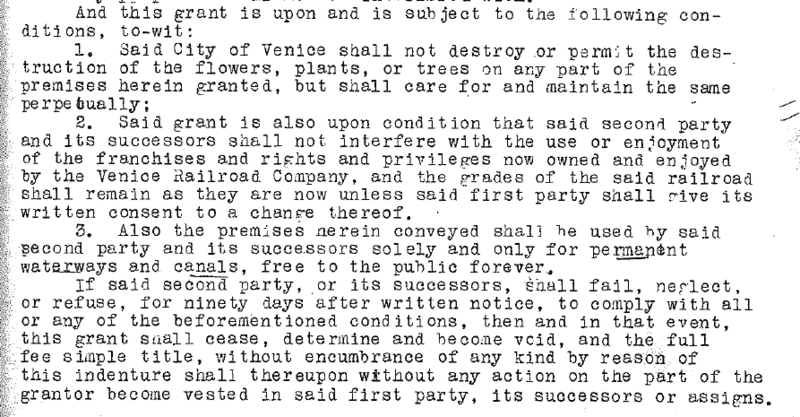 The 1912 deed implies that if the property designated for the Venice canals is not maintained for use as “permanent waterways and canals”, it shall revert back to the Abbott Kinney Company or its successors. Given that most of the canals were filled in back in the 1920s, does this now mean that the City of Los Angeles is in violation of this deed? And, if so, does this now mean that the land shall revert back to the AK Company (no longer in existence) or its successors – whoever they may be? 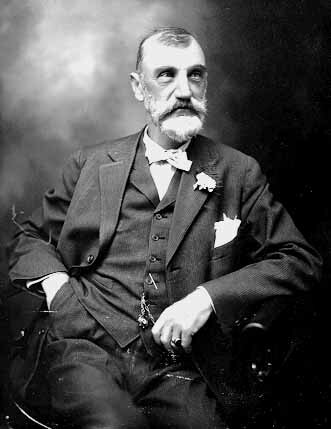 This deed states that: “If second party [City of Venice], or its successors, shall fail, neglect, or refuse, for ninety days after written notice, to comply with all or any of the beforementioned conditions, then and in that event, this grant shall cease, determine and become void, and the full fee simple title, without encumbrance of any kind by reason of this indenture shall thereupon without any action on the part of the grantor become vested in said first part [Abbott Kinney Company], its successors or assigns.” Click AKDeedCanals 1912 to view complete deed.